Guide to Choosing an Engagement Ring Offering a ring as a proposal of union has long been a tradition for centuries. An engagement ring symbolizes a man’s pledge to the woman that he is going to marry. Traditionally, the engagement ring is worn on the third finger of the left hand, and when the woman is married, it stays above the wedding ring on the fourth finger. However, the process becomes overwhelming for someone seeking to find the best engagement ring. IF you are going to buy an engagement ring, you need to think about some things including the style of the engagement ring that you are going to give. But the decisive point of the final choice is always gleaned on how much your budget is and then from there, the rest of those other things would follow. When it comes to purchasing an engagement ring, we should look at how your budget should be apportioned. The engagement ring is composed of three components with varying treatments and values. These three components are the cut, the carat, and the precious metal when the gem is mount. Many people confuse the cut of the stone in the way that it is being shaped (oval, pear, princess etc.) The symmetry, proportion, and the polish of the stone is what we refer to as its cut. When used to measure diamond or a precious gem, carats and karats have different usages. When measuring the weights of a stone, we use carats, and they are measured in ounces and grams with the bigger carat being heavier and where 1 carat diamond is equivalent to 0.007 ounces. When measuring the purity of gold, karat is used. One karat is 1/24 of the mass, so a 24 karat gold is pure gold. An 18 karat gold means 18/24 (or 3/4 ) gold and 6/24 (or 1/4 ) of other metals that has been combined to it. Using other gemstone rings for an engagement ring is still acceptable instead of the traditional diamond rings. It must also be noted that smaller but clearer diamond or gem has more sparkle than larger and less clear gemstones. 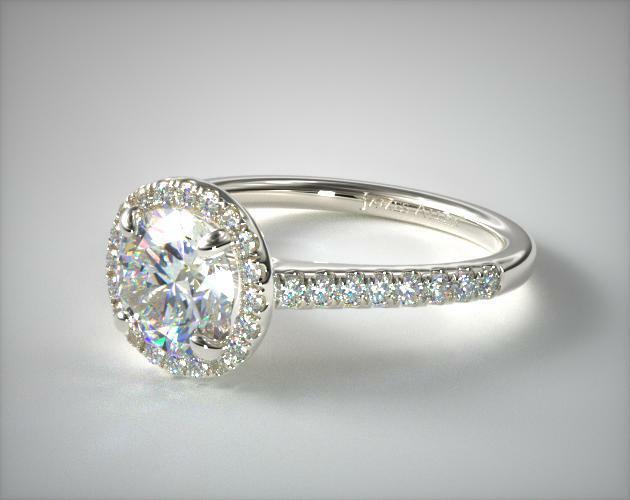 Style, or the ring design, is another important consideration. Among the popular styles are the solitaire or a ring with a single precious stone, and the vintage or the single precious stone with heirloom-inspired metal engravings. There are engagement rings with single precious stones with accent stones around the band. Another style is splint shank where shank is pulled apart or bands are arranged in different ways so that its appearance becomes sophisticated. Or you might want to go for Antique rings or rings which are generally more than 100-year-old. Or a vintage engagement ring which are at least 20-year old and can be from any period.